Aaron: I mean, seriously, Colleen. Do you know how hard it is to chat up a girl bartender? Aaron: It’s like trying to take a stripper home. Me: Yeah, I still have nothing to add to this conversation. Aaron: Never watch a horror movie right before the midnight shift. Me: I won’t. I don’t watch horror movies anyway. I get too scared even in my own house. Aaron: Your house? Heh. Try not setting your job ablaze because that (censored) from The Ring just stepped out of your control monitor. 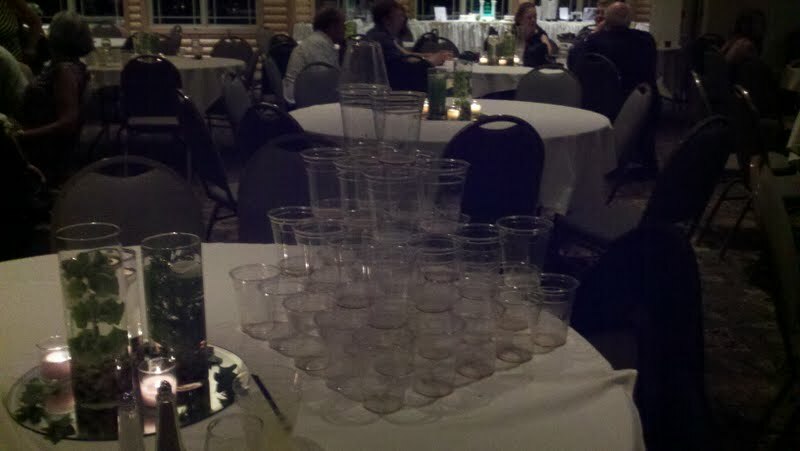 Aaron: Colleen, your meager plastic cup pyramid has nothing on what we did at the last wedding I went to. Me: You made a cup pyramid at a wedding? Aaron: Yep. On a table with fancy linens. It was huge. Me: This picture is obnoxious. How many are there? Aaron: Not sure, but this picture shows the first attempt. There was a second pyramid. Me: Um, this is what you did at someone’s wedding? Aaron: Colleen, you don’t get it. The base was like 6’x6′. Aaron: Oh my God, do not get the new Listerine 6-in-1! The horror… The horror!!!! Me: I don’t think I choose men well. Aaron: (eyes wide) Nope. Not at all. At all. Me: I did it. I finally quit smoking. For real. Aaron: Fantastic! How’d you do it? Me: Chantix. I cried nonstop. That prescription is brutal and will force you to be unnecessarily maniacal. Aaron: Yeah, that Chantix doesn’t work for everyone. My mom enjoyed it, but she is really one of a kind. 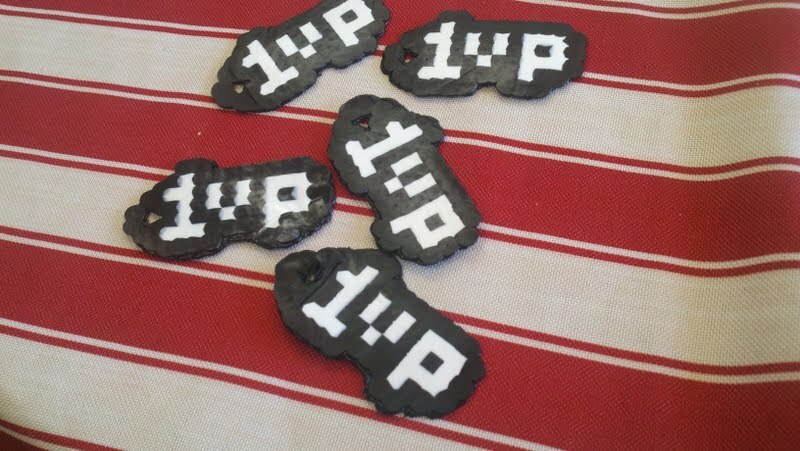 Me: Did you know in the Alchemy game that Life + Man = 1UP? Aaron: Did you know I can make ’em?